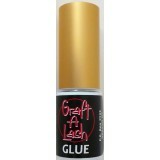 Graft-A-Lash black glues. Our glues are free from latex. 10ml Top Speed Black Glue, dries in 1 second. 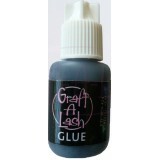 Recommended for exp..
10ml fast dry black glue, dries in 3 seconds. Recommended for experienced techni.. Recommended for learners. 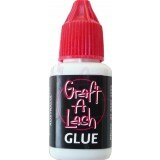 This glue dries in 6 seconds &n..
Used to remove lashes. The cream consistency prevents the product..
Clear Glue especially for Eye-Brow Extensions MSDS available on request ..
For a combo price of $12.50, get 2 x U-Band Lash Holders + 2 x Glue Rings. .. 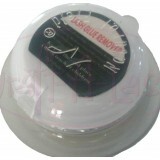 Manage your glue when applying lashes a lot easier by using these Glue Rings. ..